The base model costs $19,990 drive-away with auto. Standard fare includes Apple CarPlay/Android Auto, airconditioning, digital speedo and remote central locking. It comes with a longer warranty than the VW: five years/unlimited kilometres. Service intervals are the same as the VW at 12 months/ 15,000km but routine maintenance costs are slightly cheaper - $1100 over three years or $2200 over five. The Skoda Fabia has a generous boot. Picture: Joshua Dowling. 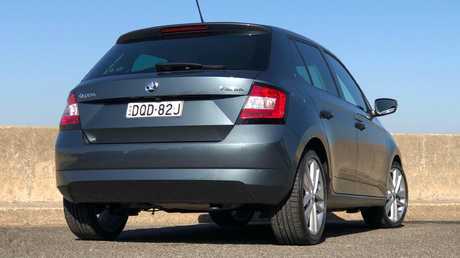 The Fabia is slightly shorter than the Polo and has a smaller footprint. That said, it still has a generously sized cabin and boot, large door pockets and a handy centre console (which the VW lacks). I love Skoda touches such as under-seat storage, parking ticket holder on the windscreen and hidden umbrella. The Fabia has a clever cabin. Picture: Joshua Dowling. 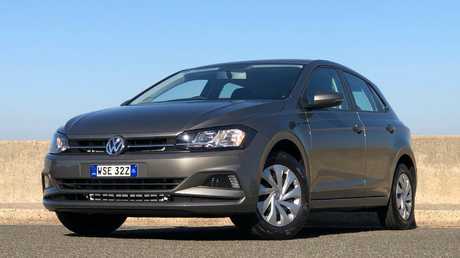 The 1.0-litre three-cylinder is closely related to the one in the Polo but has more power (81kW/200Nm v 70kW/175Nm). Both insist on 95 RON and are paired to seven-speed twin-clutch autos driving the front wheels. 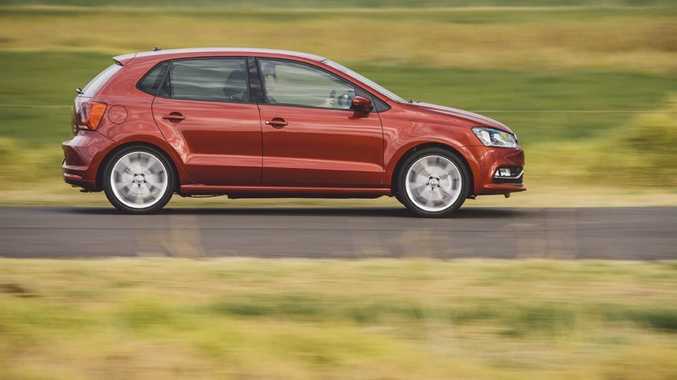 Thanks to the extra power - and the Polo being 50kg heavier - the Skoda is a touch zippier with a 0-100km/h time of 9.8 seconds versus the Polo's 10.8 seconds, according to manufacturer claims. Six airbags and autonomous emergency braking are standard, which gives the Fabia a five-star ANCAP crash test rating. A rear camera is standard, though the display is smaller and not as clear as the Polo's rear camera image, especially at night. Rear sensors are optional. 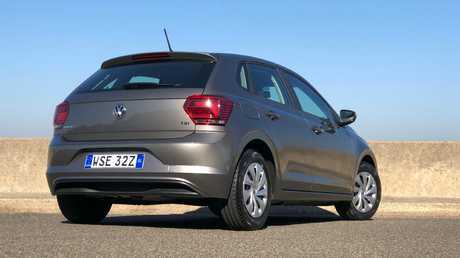 The 1.0-litre engine has sufficient zip and the seven-speed auto is smooth once on the move. You need to release the brake pedal a fraction sooner to allow time for the gearbox to engage when moving from rest. The leather-trimmed steering wheel is a nice touch and all-round vision is excellent. Biggest weakness: the suspension is underdone, crashing through bumps and taking a while to recover from them. Growing pains: The Polo is as big as the Golf was 10 years ago. Picture: Joshua Dowling. The cheapest Polo automatic is $20,490 drive-away, as with the Skoda among the starting prices of hatchbacks the next size up. Standard fare includes Apple CarPlay/Android Auto, airconditioning, digital speedo and remote central locking. Over the Skoda it gains cruise control and full-size spare. Warranty is three years/unlimited kilometres and service intervals are 12 months/15,000km. Routine maintenance is dearer: $1213 over three years or $2404 over five. 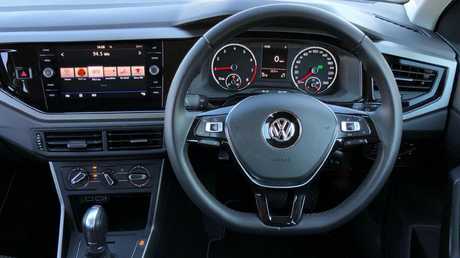 It's as big as a VW Golf was 10 years ago and the interior presentation is class-leading, with clear instruments and a large touchscreen with dials. In common with the Skoda, a leather-trimmed steering wheel is standard but it's a niftier design. The cabin lacks a centre arm rest but the door pockets, boot space and cabin overall are huge. The Polo is an overall polished package. Picture: Joshua Dowling. The 1.0-litre three-cylinder has a touch less power than the Skoda but it's barely noticeable. As with the Skoda it insists on 95 RON but for that you're rewarded with frugal fuel economy. The transmission is not as smooth in stop-start traffic (or in three-point turns) as a conventional auto. Six airbags and autonomous emergency braking are standard, and the crash protection earns a five-star safety rating. The rear camera view is larger and sharper than in the Skoda but is a bit grainy at night. Rear sensors are optional. Star performer: The Polo’s interior is class leading. Picture: Joshua Dowling. This feels like a Golf, so finessed are the steering and suspension. The larger footprint aids roadholding but there's still some engineering magic involved in getting all the moving parts to work well together. The steering is beautifully weighted and the comfort over bumps among the class best, if not the benchmark. The only downside is that hesitation of the auto on take-off, a trait of twin-clutch designs when paired with small-capacity, low-powered engines.